Hey there beautiful girls! New products time! I have picked up a few products from Target and Sephora that I wanted to share with you. Its a little bit of skincare and a few makeup products that I am excited to to try for the first time. 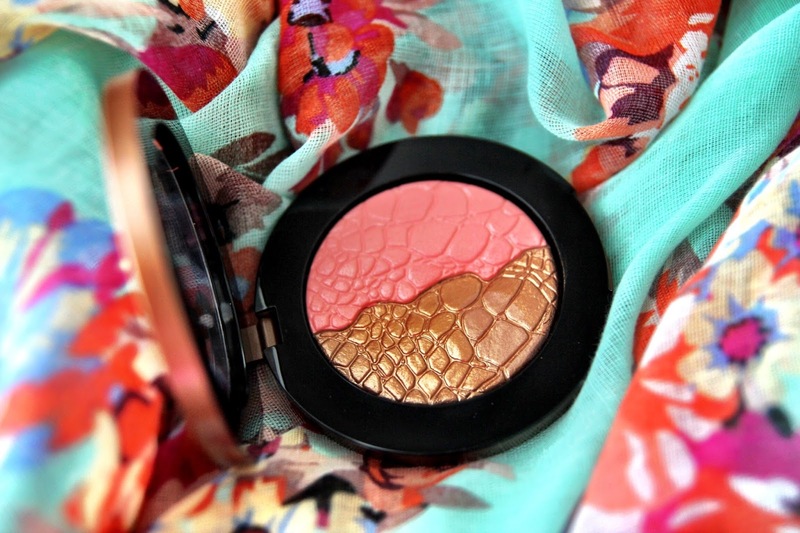 This first product I picked up is the Sonia Kashuk Chic Luminosity Bronzer/Blush Duo in Glisten 52. Apparently this product has been on the market for a while so I am not sure how I am just finding out about it. 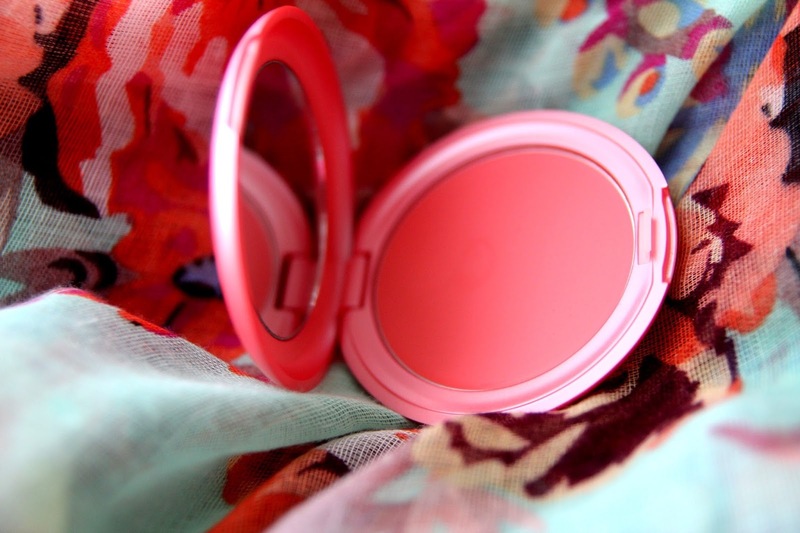 The colors can be mixed to create a glow for the cheeks, just in time for summer. I will be wearing this product in a future 'makeup of the day' post so I will definitely be sure to let you know how it performs. You can view the swatches Tina from The Fancy Face did here. The second product I read about on Essie Button's blog! I am sure you already probably know her, but if you don't...please go to show her blog and YouTube channel some love! The Stila convertible color in Petunia can be used on either the cheeks or the lips. I will more than likely only use this products for my cheeks as I am not of fan of using these kind of products on my lips! That is what my two million plus lipsticks are for! I am planning to use this product as a base for my powder blushes that seem to melt off my face during the hotter months in Texas. I have already made mention of this next product before. I have wanted to try the BLISS Triple Oxygen Instant Energizing Cleansing Foam for a while. Although my skin is quite sensitive and acne-prone, I think that it will react well to this product. If it doesn't, I will be sure to let you all know. This product is meant to leave the skin feel hydrated, energized and refreshed! We will see if it does all that it claims! Tati from Glam Life Guru on YouTube totally made me do it! I should do a post about all the products YouTube 'made me buy'. I am sure it would be too many products for one post. 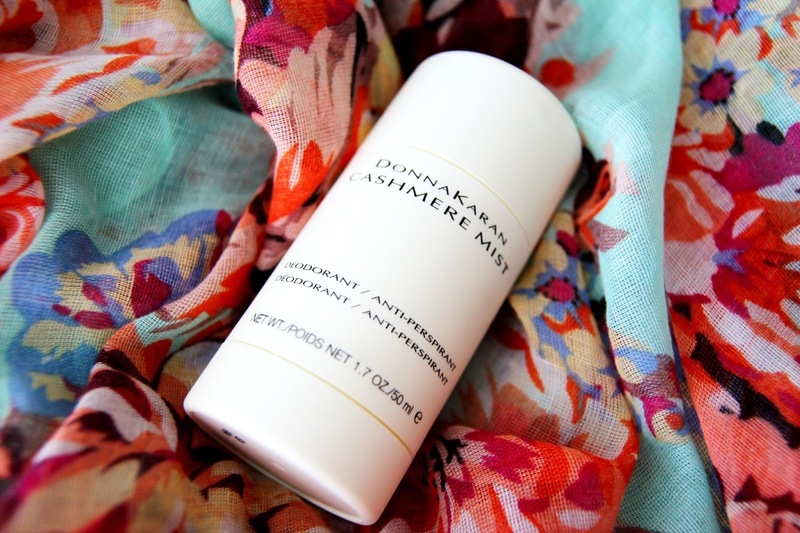 I picked up this DONNA KARAN Cashmere Mist Deodorant as an alternative to my everyday deodorant from Degree. I love that it is lightly fragranced and I have been wearing it every single day since I picked it up. It has so far survived all of my outdoor escapades! On a side note, is there any product that you can remember that you picked up only because I mentioned it either on YouTube or my blog? Or is there a product you picked simply because it was recommended on YouTube? The last two products are both from First Aid Beauty. 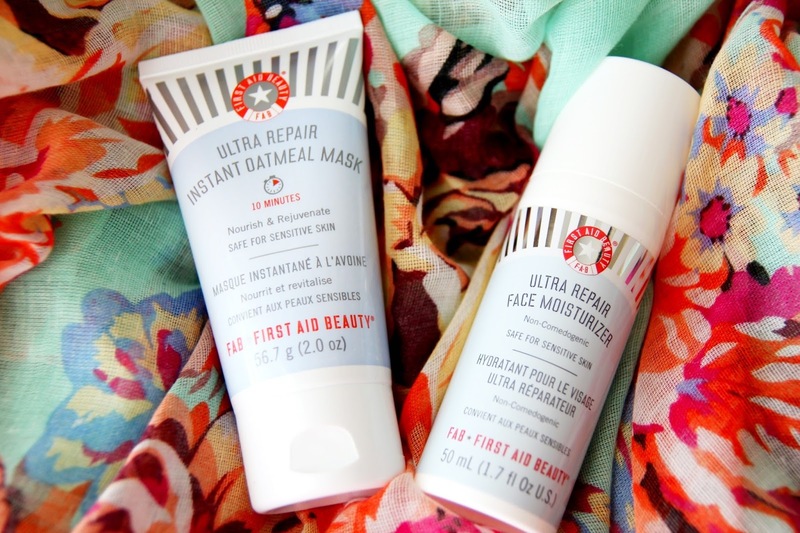 I have been loving both the First Aid Beauty Eye Duty Triple Remedy and the Facial Radiance Polish that I decided to add two more products to my skincare arsenal. Their products are very sensitive, acne-prone skin friendly. I purchased the Ultra Repair Instant Oatmeal Mask and the Ultra Repair Facial Moisturizer. The verdict is still out on both of these because I purchased them very recently. I have only experienced great things with this brand thus far so two new products are worth giving a chance.